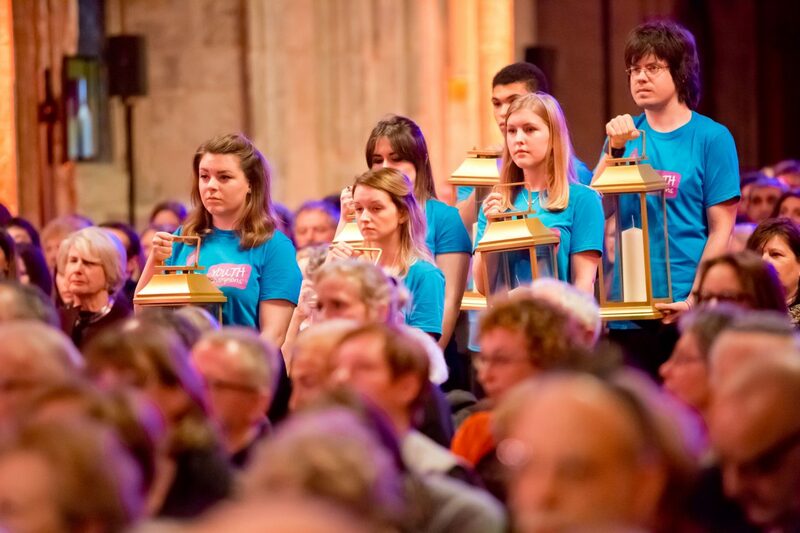 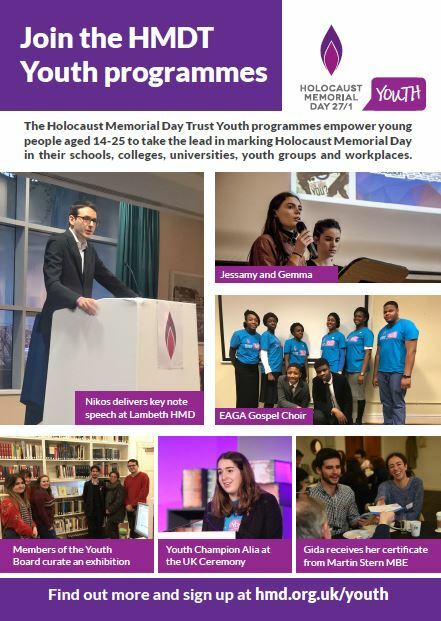 Take the lead in marking Holocaust Memorial Day (HMD) at your school, college or sixth form. 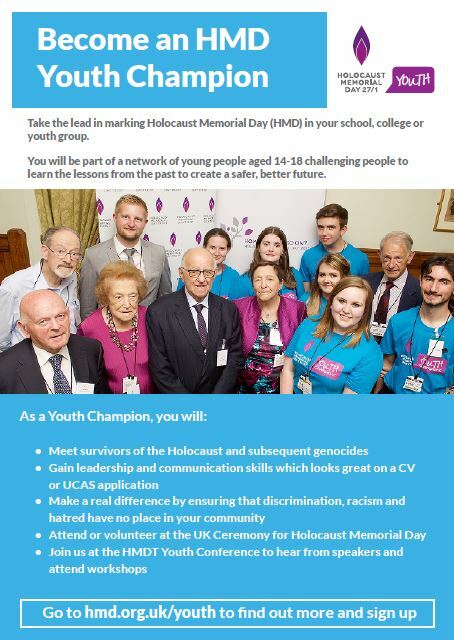 The bronze, silver and gold awards will help you to grow your involvement with HMD each year. 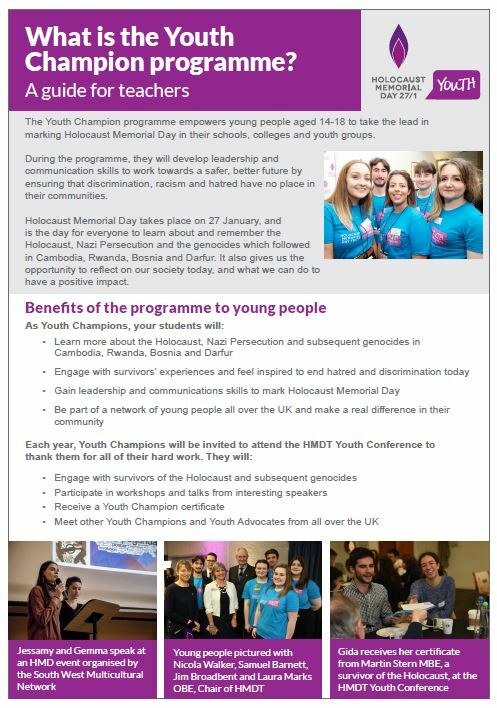 You will learn more about the Holocaust, Nazi Persecution and subsequent genocides and improve your leadership and communication skills. 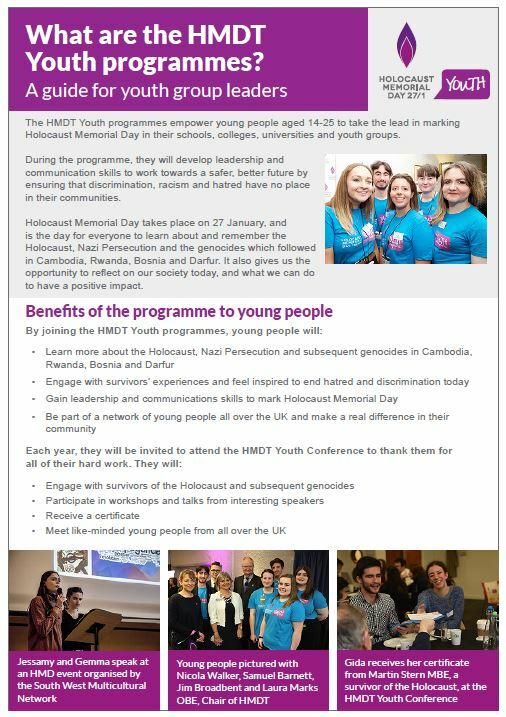 You can sign up to the HMDT Youth programmes in September 2019. 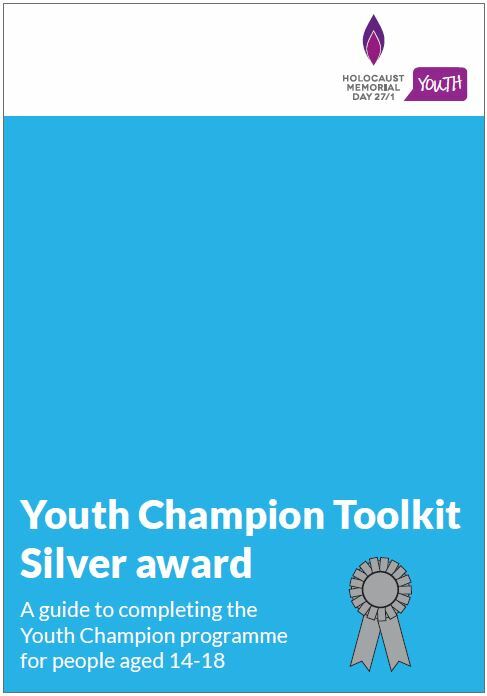 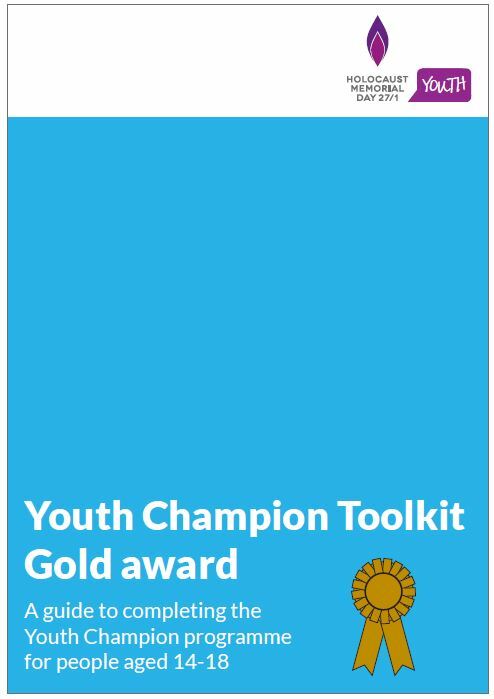 Explore the toolkits below to learn more about the Youth Champion Programme.